Here’s a look at a few stats you may not know about the upcoming NCAA men’s Final Four. 1. Five of the seven teams with 10 or more appearances in the Final Four are still in this year’s tournament. North Carolina and UCLA top the list with the most Final Four appearances with 18. Kentucky is next with 16 and Duke follows with 15. All four of those teams made this year’s Sweet 16. The other three teams on the list: Kansas with 14 Final Fours and Louisville and Ohio State with 10. Of those three, only Louisville is still alive in this year’s event. 2. Two teams that have made 18 or more NCAA tournament appearances but have never appeared in the Final Four are still alive and could possibly break those streak. Xavier has played in 25 (now 26) NCAA tourneys but has never made the Final Four, while Gonzaga has played in 18 (now 19) and has never made it to the Final Four. 3. Prior to this year, Kentucky has played in 35 Elite 8 games, winning 16 and losing 19. Their 19 losses in the Regional Final title game is most on the list. They are followed by Kansas State with nine, Villanova with eight, North Carolina with seven and Ohio State, Kansas, Oklahoma State, Connecticut and Arizona with six losses each. Texas, Oregon State, Illinois, Temple and Michigan have each lost five Regional Final title games. Of these teams listed, only three, Kentucky, North Carolina and Arizona are still alive in this year’s tournament. 4. Missouri tops the list with the most losses in the Regional Final title game with no appearances in the Final Four. Pittsburgh, Arizona State, Boston College and Davidson have each lost three Regional Final title games and have never made it to the Final Four. What will be the key factors for Kentucky and Kansas in tonight’s title game? Defense? Three-point shooting? Rebounding? Reserves? To help with the pre-game analysis of the game, here’s a look at several boxscore stats and how these numbers have (or have not) favored the championship game winners. The numbers presented are based on the past 25 NCAA men’s Division I championship games. 1. Bench Scoring: The champion’s reserves have outscored the opposition bench in 15 of the 25 games (they had the same bench point total in one contest). The winners got 10 or more points from their bench in 18 of the 25 contests; the championship game losers bench scored 10 or more points in only 10 of the 25 games. 2. The Game‘s Leading Scorer: The game’s leading scorer has come from the winning team in 17 of the 25 games (in one game, players from opposing teams tied for game-high honors). 3. Halftime Lead: The team leading at halftime has won 19 of the last 23 championship games. 4. Better shooting: In the last 25 title games, the team that had a better field goal percentage won 22 and lost only three. The team with the better field goal percentage for the game has won the last 14 title contests. 5. Three-point shooting: Shooting more threes is not a big deal; the winning team had more three-point attempts in only seven of the 25 games. The winning team made more shots from beyond the arc in 10 games (in one game both team made the same amount). 6. Free throw shooting: Getting to the line and making more free throws than the opposition has been a factor in the last 25 games; the winning team has shot more and made more free throws in 15 of the 25 games. 7. Rebounds: The winning team has outrebounded their opponents in 14 of the 25 games. 8. Assists: The winning team has had more assists in 15 of the 25 games; in two games the teams had the same number of assists. 9. Fewer turnovers: Ironically, having fewer turnovers than the opposition was not a major factor. The team with the fewer turnovers only won 10 of the 25 games. 10. Seeds: Tonight’s title game features #1 seed Kentucky versus #2 seed Kansas. The #1 seed has faced the #2 seed in eight previous title games. The #1 seed has won six and lost two. Since 1979, when all teams were seeded in the tournament, #1 seeds are 12-6 in the championship game. The #2 seeds are 6-9 in championship games since 1979. 1. Since 1985 when the NCAA went to a 64-team format for the tournament, 71 of the 112 (63.4%) teams in the Final Four were either a #1 or #2 seed. This year three of the four teams are either a #1 or #2 seed (Louisville as a #4 seed is the only exception). 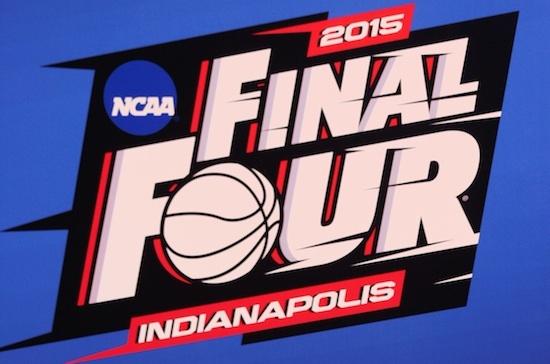 About 86% of the Final Four teams since 1985 have been a #1, #2, #3 or #4 seed. Since 1979 when the NCAA went to seeding all the teams, no teams that were seeded #10, #12, #13, #14, #15 or #16 have made it to the Final Four. Three #11 seeds have made it to the Final Four since 1979. 3. 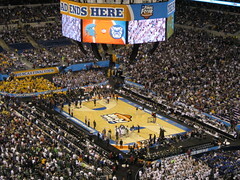 Thirty-two of the 54 (59%) Final Four semifinal games have been decided by nine points or less. 4. The teams that won their semifinal game by a closer margin has won the title 14 times and lost 10 (three times the title game opponents won their semifinal game by the same margin). 5. There have been 19 times when a team has played in back-to-back championship games. The last to do so was Butler in 2010 and 2011 (they lost both games). Prior to that it was Florida in 2006 and 2007 (they won both games). 6. The state of Missouri has hosted the most Final Fours with 13. Tied for second are New York and Kentucky with seven. They are followed by Texas, Indiana, and this year’s host, (New Orleans) Louisiana, with six. 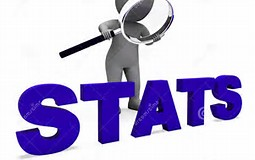 Sports Stats ‘on Tapp’ is a sports statistics blog published multiple times monthly focusing on stats that go beyond the numbers. 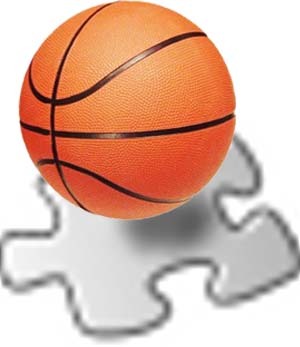 The 80-65 loss by the Kentucky women to UConn in the regional final Tuesday night means that we will not have Final Four teams from the same school in both the men’s and women’s tournament. This year three different schools had their men’s and women’s teams in both Sweet Sixteens: Baylor, Kansas and Kentucky. Following are the nine times when both the men’s and women’s basketball teams made it to the Final Four in the same season.